Today seems like an orange juice kind of day. Not every day does, but today does. So, in addition to making a second cup of coffee, I poured myself a glass of orange juice while waiting for my oatmeal to cool. Yes, I’m using a crystal glass and no this isn’t actually a mimosa I’m drinking. It’s plain old orange juice. And while last week was filled to bursting with exciting news for me, I’ve already celebrated that news. Nope, this is just a normal Monday. But I’m still using a crystal glass to drink my orange juice. In fact, I’ll probably rinse it out and drink some water out of it later. Why this crystal glassware use on a Monday meriting no celebration? Well, actually, perhaps I am celebrating. After all, I did crank out a few thousand words last night, thereby finishing this final draft of my novel. I typed “The End” at 18 minutes past one a.m. and still managed to drag myself out of bed before 8 this morning. Perhaps that is worth celebrating. And it is July 2nd which means that summer should roll into my neighborhood any time now and soon the kids and I will wile away the afternoon hours in or next to our seasonal pool. Again, a cause worth celebrating in this land of green vegetation and often gray skies. My kids may be bickering but they are healthy. My legs are tired but I am training for my first half-marathon. My husband is away at work but he will be home again tonight. It is Monday but this week has a holiday in it so its a short work week. And I got to have another day. Seems like as good a reason to use the good glassware as any, right? Actually, and I’m sure you’re not surprised to read this, there’s a story to this crystal glassware and how I came to be using it as a juice glass far more fancy than the jelly jars we collected when I was a kid. A month or so ago, my mother-in-law asked me if I’d like some crystal glassware. She’d inherited several pieces from her aunt’s estate and had more than her china cabinet could accommodate. Now if you know me at all, you know that I’m not much of a crystal glassware kind of gal. (Note the pernicious effects of collected jelly jars mentioned above.) When Mister Soandso and I registered for our wedding nearly 20 years ago, not a single piece of crystal was included on our registry. Why? We moved so frequently that we knew better. And besides, everyone knows you use the good stuff–china, crystal, silver–only for special occasions. When you are living paycheck to paycheck, there aren’t many occasions that seem to merit either the classification or the stuff. Now twenty years later, we’ve turned into middle aged folks with three kids and a gaggle of pets. We’ve lived in this house for eight years nearly to the day and have matched plates and glasses and stemware. Not necessarily the good stuff, but good enough. So when my mother-in-law asked me if I wanted some glassware, my temptation was to say no. I need more stuff like I need a hole in the head. But then I paused. And I said yes. However, I said this: Sure, I’ll take some. But I’m going to use it for everyday stuff and I’m going to put it in the dishwasher. Both she and I looked like this was an unbelievable proposition. Because in many ways, it is. Most middle class Americans (perhaps other nationalities as well, I don’t know) have been brainwashed, if you will, into believing that they need to aspire to the good stuff, but then should only use it for situations that merit it. How many of us have read those Reader’s Digest stories turned internet memes of women saving for a beautiful item of apparel but then never wearing it? Instead tucking it away for a special occasion special enough to wear it, only to be buried in it years later? The fancy car that only comes out of the garage when the weather is perfect? The shoes purchased for a wedding and then packed away in a box, too pretty to wear? So many of us have become hostages to stuff that we give the power to judge our daily lives as “good enough” or “not good enough”. But what if we didn’t? 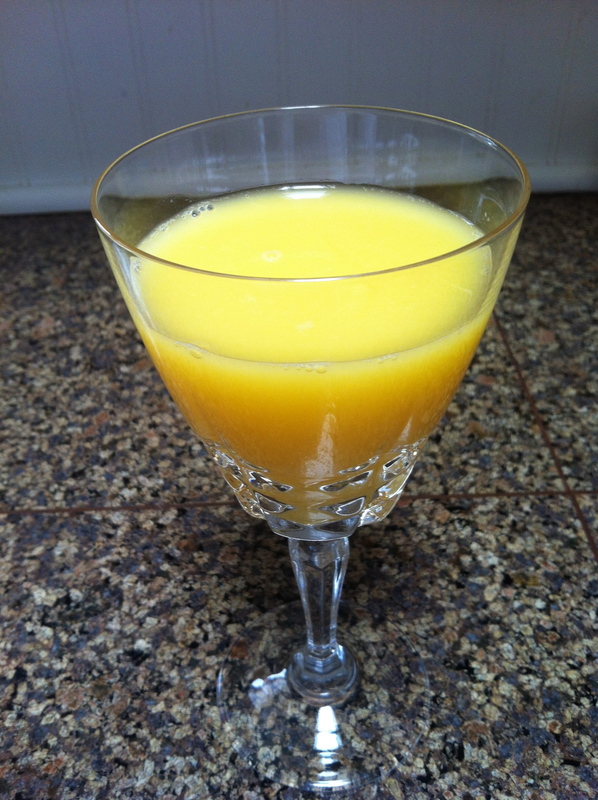 What if we poured our boring old Monday morning orange juice into the fanciest, most expensive glass we own? What if, in effect, we said that boring old Monday mornings are special occasions simply because we are here? Go on. I dare you. Get out the good chocolate. Grind up the best coffee beans in the house. Cook up that expensive cut of beef gathering frost in the deep freeze. Live this day as if it is a special occasion and by doing so, make it so. This entry was posted in Front Page and tagged carpe diem, china, good glassware, wedding registry by kristina. Bookmark the permalink. When I was first married our over indulgent relatives gifted us with a full(12 setting) set of Smoke Fostoria stemware. It was gorgeous. We were twenty and eighteen. We used it for everything – orange juice, water, Daiquiris(lots of daiquiris). It is all gone now, but we enjoyed it for every fourteen dollar a stem grain of sand it was worth, and we never regretted it. Hear hear. Live now. We’ll be a long time dead, so live now.